At some point during summertime childhood swimming lessons, I flunked and didn’t receive my certificate to move to the next class. As a result, I dropped out. For a pasty redhead, I already didn’t like being outside in the first place. Now I can barely doggie paddle my way out of a kiddie pool. If I were to hypothetically win a sailboat, I’d sell it as quickly as possible. I’d put that sail up for sale. 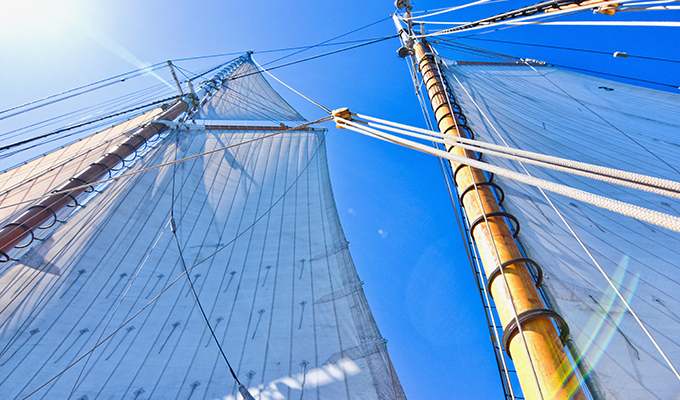 The difference between the words sail, sale, sell and cell are salient. And, before you can accuse me of being a sellout, let me assure you—like the theoretical sailboat—my argument will hold water. A sale is a noun that refers to the act of selling, specifically when a good or service is traded for some kind of currency. For example, mattress stores all think it’s a great idea to have big sales over Labor Day weekend. It’s as if the store owners all got together and decided to celebrate hard work by giving people a great excuse to do the exact opposite. Sale is different from sell. Sell is a verb; it is the act of working towards the goal of making the sale. You can sell a boat. Once you sell the boat, you have made a sale. I hope my clarification of sail, sale, sell and cell went swimmingly—which is more than I can say about my own swimming skills.